St Vincent was a seventeenth century Catholic priest who devoted himself to working with the poor. Born in France, as a young man he was captured by pirates and lived as a slave for two years before continuing his religious works in France. St Vincent de Paul founded the Daughters of Charity, Ladies of Charity and the Sisters of Charity who all worked to help the plight of people living in poverty. In 1833, the Society of St Vincent de Paul was founded initially to work with the people living in the Parisian slums. It took St Vincent’s name being the patron saint of works of charity. The Daughters of Charity of St Vincent de Paul established (largely in the nineteenth century) many orphanages, industrial homes, homes for working girls. 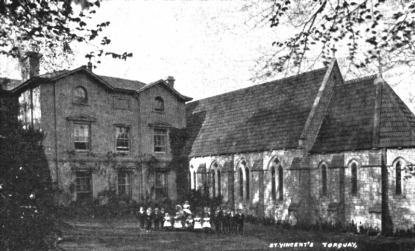 According to the Catholic Encyclopaedia (1913) , “by 1907 ... they operated 23 orphanages; seven industrial schools; 24 public elementary schools; one normal school to train teachers; three homes for working girls or women ex-convicts; and eight hospitals, as well as 35 soup-kitchens” in the British Isles. 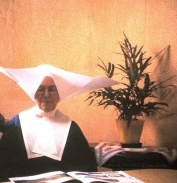 The nuns who worked in the orphanages and homes in the late nineteenth and very early twentieth century were recognisable by their unusually broad headwear. The website of the Daughters of Charity of St Vincent de Paul in the UK can be found here. and we will forward your emails on to him. fault of their own and circumstances. we may have to look after them but we don't have to love them. some boys fell into bad company and some commited suicide . Quite frankly I disliked the place and that's putting it mildly." Teresa has emailed to say she was at "St Catherine's convent for girls in Druids Cross Rd, Woolton Liverpool 18. It was run by st Vincent de paul". Anyone else got any memories of St Catherine's? Can you tell us what it was like to be in a St Vincent's home?